While any amount will help, please consider making a donation that will allow you to benefit from one of the rewards the Tree team has put together. If you would prefer to make a donation offline or help in some other way, please email us (info@treereadingseries.ca) and a board member will be in touch. Please note, Tree is a non-profit organization, but is not a registered charity. Tree cannot issue tax receipts for your donation. 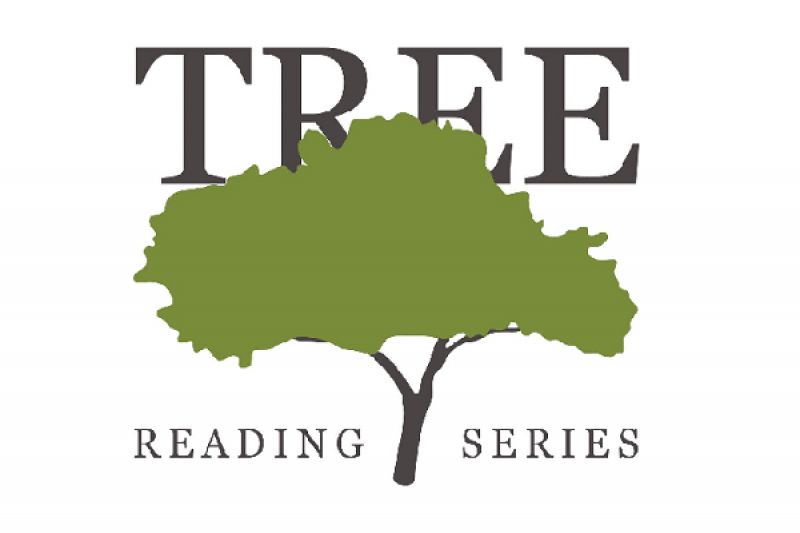 Running since May 9, 1980, Tree Reading Series (Tree) is one of Canada's longest-running literary events and an essential part of Ottawa's vibrant literary community. Tree is a non-profit organization run by a 100% volunteer board that supports established and emerging writers from Ottawa and across Canada by offering a supportive public venue for writers to present their own work and to benefit from exposure to the work of other writers. Tree hopes to inspire and sustain the development of the literary community in Ottawa and to promote Ottawa as an important community for Canadian literary arts. Our programming aims to reflect the diversity of Canadian poetry by featuring voices from across the gender spectrum and from diverse racial, cultural, and class backgrounds. Tree’s annual general meeting on March 18, 2018, appointed a new eight-person board of directors. The new board took stock of Tree’s financial situation and concluded that, due to issues including increased costs, the timing of grant receipts, and the importance of replenishing Tree’s contingency fund, there was a need for immediate action. We’re raising funds to allow Tree to continue its programming over the next three months and to begin planning for the 2018-2019 season, while helping Tree be prepared for future contingencies. Historically, most of Tree’s revenues come from city, provincial and federal grants. Only 6% has come from donations by our audience at readings. As a result, Tree Reading Series is seeking assistance from the Ottawa community and the broader Canadian literary community to continue bringing the best of Canadian poetry to Ottawa. Learn more about Tree, our upcoming readings, and our board of directors on Tree's website and be inspired by our video archive of previous Tree readings on our YouTube channel. Have questions for us? Please send us an email (info@treereadingseries.ca) and one of Tree's board members will be in touch. It has been an amazing week! In just six days, we have surpassed 50% of our fundraising goal to #HelpTreeGrow. What’s more, thanks to many supportive donors, Tree has raised $2500 in donations of at least $25. This means that at the end of Tree’s GoFundMe campaign, a very generous anonymous supporter will make an additional $2500 donation to Tree. On behalf of Tree’s board of directors, thank you for taking the time to share the link to the campaign on social media over the past few days, thank you for sharing information about Tree and the campaign with your friends and family, and thank you for your donations. The direct result of your generosity is that Tree Reading Series will be able to continue its programming through June and to begin planning for the 2018-2019 season. That said, Tree’s new board of directors has had to make some difficult decisions to make this possible. While Tree’s board of directors are not compensated in any way for their work, Tree has traditionally offered an honorarium of $125 per quarter to the two volunteers who help manage Tree’s social media and coordinate Tree’s workshops. Those volunteers have agreed to waive the honoraria while Tree strengthens its finances. Similarly, Tree’s website designer/technician has donated his services (typically several hundred dollars for a calendar year) for 2018. Help nourish Tree. A member of Tree’s board will provide editorial feedback on a poem you’re working on. Consultations by email/Skype/phone/in person in Ottawa. Help support Tree. Receive 1 copy of Tree's 2017 "Local Lights" chapbook, mailed anywhere in Canada, and a poem consultation with a member of Tree's board. Help raise Tree. Receive 1 copy of the "25 Years of Tree" anthology, mailed anywhere in Canada, and a poem consultation with a member of Tree's board. Help Tree grow. Be recognized as the sponsor of a Tree reading next season and receive 1 book of poetry selected by the Tree board, mailed anywhere in Canada.